I will give you my views which reflect Bhagavan Ramana’s general outlook on such issues. Sanskrit is a profound language in which to communicate deep wisdom and truth. There are some aspirants who wish to learn Sanskrit so they can understand the original Yoga and Advaita texts. In India, Self-Realized Sages of the past used Sanskrit as a medium to express their insights on the nature of Existence. However, in my view, learning Sanskrit need not be part of anyone’s spiritual path and has nothing to do with Self-Realization. The Self is Realized by absorbing the mind into the Heart so the inherent blissful nature of existence and consciousness shines forth. For a Self-Realized sage, the mind is not real. When the mind disappears, so does Sanskrit or any other language, the culture one is born into as well as any and all conditioning and identification. 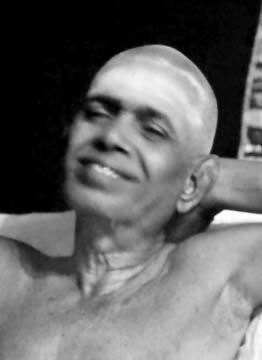 Bhagavan Ramana felt that you can go on reading many books but it may not be helpful. Sri Ramana often said that once you have grasped the truth and the essential method of Self-Inquiry, engaging in that should be the central focus rather than reading books of any kind (in any language, Sanskrit or otherwise). Of course, spiritual books are useful to the extent that they create a mental atmosphere in which Self-Inquiry can flourish. Ultimately, on the spiritual path, one should follow one’s natural inclinations and engage in spiritual practices or reading that one finds joyful and helpful. Let others do what they wish to do and if that includes learning Sanskrit, then that is part of their path. However, it may not be part of your path. Don’t compare yourself with others. Everyone has all they need to recognize their inherent and original Self-nature.